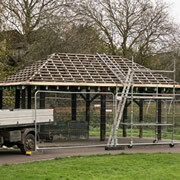 Wincanton's skate park is getting an upgrade! 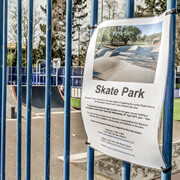 Wincanton Town Council is in the early stages of replacing the existing skate park at the Recreation Ground. Come to a consultation event in the Town Hall this Wednesday 10th April, to check out the plans and tell them what you think! 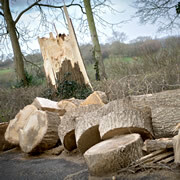 The recent windy weather has brought down two notably large trees in Wincanton. One fell at Wincanton Community Hospital, blocking the car park entrance, and another in the cemetery grounds of Wincanton Parish Church. 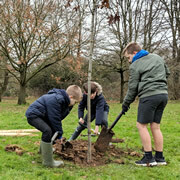 On Thursday 24th January 2019, children from Wincanton Primary School, Our Lady of Mount Carmel Catholic Primary School and King Arthur’s School joined Wincanton Town Council to help plant 14 new trees at the Cale Park recreation ground. ICE WARNING: no grit for Wincanton High Street? Last night’s hard frost left roads throughout the town more akin to ice rinks. Frosty weather is to be expected during winter months, but don't assume all Wincanton's main roads will be gritted. Drive safe tomorrow. Stonewater, a leading social housing provider, launched its first rent-to-buy scheme on 11th January 2019. 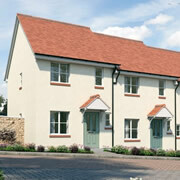 The development featuring affordable homes for local people taking advantage of Rent to Buy is nearing completion at Balsam Park in Wincanton. 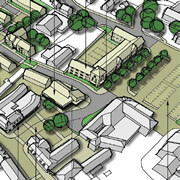 SSDC's draft plan to regenerate Wincanton's town centre has been made available for public consultation. You can check it out here, or see it in person and ask questions at Wincanton Memorial Hall this Friday and Saturday, 18th-19th Janurary. A 1km route has been mapped out which you can walk, jog or run, and it's also suitable for wheelchairs and buggys. 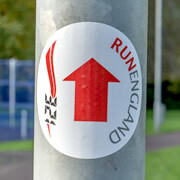 There are directional stickers on posts along the route, and a map sign at the start point. 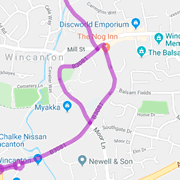 On Wednesday 24th October, a lorry delivering to the Wincanton branch of Travis Perkins left a trail of white emulsion paint all around the town, starting on the Dyke's Way roundabout opposite the A303 junction. 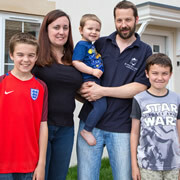 A Wincanton family of five has used a part-exchange scheme from Bovis Homes to move to one of the new-builds off West Hill, so that their children can finally all have their own bedrooms. Common Road is to be resurfaced at last! Rejoice! 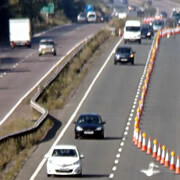 At long last, Somerset Highways has announced their plans to resurface Common Road. Perhaps Wincanton Museum would be interested to preserve some of the road's original surface. 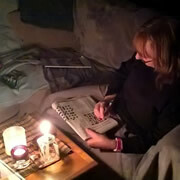 On Saturday night, Wincanton experienced a two-hour power cut. 738 households were denied their Strictly fix while engineers worked to replace a faulty cable box. One of Wincanton's eyesores is finally being demolished! 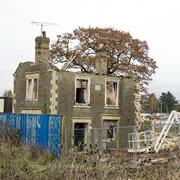 People in Wincanton are smiling this week with the news that the derelict house adjacent to The Wagtail on the Wincanton Gateway retail park is finally being demolished. Cale Park has seen a lot of action in the last 18 months, including the opening of the new play area and footbridge. But one major eyesore still blotted the landscape. Until now. How do you feel about solar farm development in your area? Cardiff University student, Caitlin Hafferty, is currently conducting a study into the impact of solar farms on local communities in Somerset. 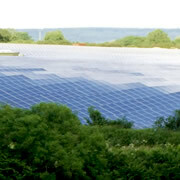 Take a short survey to have your say on the solar farms that have popped up in the Wincanton area. 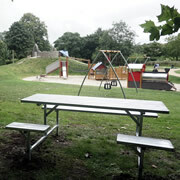 The recently refurbished play area at Cale Park now has two shiny new picnic benches. They are adjacent, and both overlook the sandpit and swings where the littlest people are likely to spend most of their time. 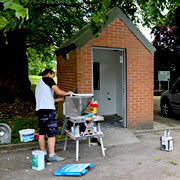 At long last the public toilet at Cale Park has re-opened, and there's a brand new drinking water fountain in the play area! Since the play area has received a huge upgrade it has been so popular the Town Council has prioritised getting the amenities up and running. 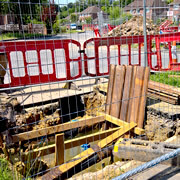 Wessex Water is currently conducting major water improvement works in the Rick Hayes residential estate in Wincanton. Work began on 1st May 2017 and is scheduled to take up to 29 weeks to complete. Residents of Bayford and Penn View are opposing new plans to develop farmland off Bayford Hill. 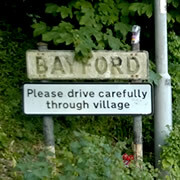 They voiced their concerns at a meeting in Bayford on Friday 6th May. 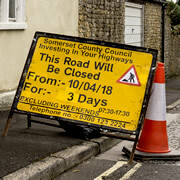 Public consultation closes on 15th May and South Somerset planners are expected to consider the application in July. 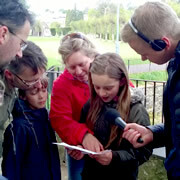 Last Sunday, 30th April, the BBC Somerset radio programme Clueless with Richard Lewis featured Cale Park, broadcast in part from the old bridge near the car park. Wincanton Town Clerk and members of C.A.T.C.H. were interviewed about the new play park and the work the team does to help the river. There could be an end in sight to the notorious congestion at the Sparkford roundabout on the A303 if Highways England plans for a new dual carriageway from Sparkford to Ilchester get the go-ahead.